Week 5 MKE – Lessons from a nearly reformed expert. As part of the Master Key Experience we are asked to construct a DMP (a statement that reflects our Definite Major Purpose). As a member of the 2014 class and now honored to be a Guide, I reflect why this exercise is so difficult for us to complete. Let’s ponder some common phrases we’ve grown up with…. No, do it this way. Why are you always daydreaming? Why can’t you be like……? Well-meaning mentors in our lives have often unintentionally squelched our ability to discover our dharma. Our life up to today has been a period of redefinition where we’ve left our childhood self behind. Many of us have grown into adults who fear putting our heart’s desire out into the world, let alone putting it down on paper and being laughed at one more time, or scarier yet, failing. It’s simply easier to live a life in comfortable quiet desperation. Some call it the red-pencil syndrome, where we submit our best work only to have it come back marked up in red with corrections. But then, how do we discover our bliss? This may be tough for you. The first step is to quiet the old voices and discover what we really want out of life. An exercise that helps me is to consider a question; “If time and money were not an issue, what would my life look like?” And then meditate, sit quietly for a minimum of 15 minutes with no distractions and ponder the question. What do you see? What are you and what colors surround you? What sounds do you hear? What do you smell? Who do you see? How do you feel? Pay careful attention to the details as they come to life. This is by no means an easy exercise to accomplish. Keep a pen or recording device handy and capture your thoughts immediately. Keep it up for a week or two. You might find your world is already perfect, or you may be startled by the stark comparison to how you are living currently and where your heart leads you. The Master Key Experience gives us tools and teaches us how to construct a DMP that will speak to our subconscious and bring about changes in our life. We learn to write the picture of our ideal life in present time—it has already happened and is waiting for you to grab it, but only you can define your dharma and what bliss means to you. It might have been a long time since someone has sat and just listened to our dreams without judgement and has backed us up, but that’s what MKE is about. Giddy up and dream big! Your future self has staked its life upon your ability to complete this task. Centuries ago there existed a Golden Buddha. Scholars are unsure of its origin, but the story seems to be historically true. At some point, the statue was covered in clay, camouflaging its beauty in a thick layer of plaster to prevent it from being stolen by invaders. The statue remained hidden and undiscovered among the ruins of the country. Centuries later, the plaster covered Buddha was moved to a new location. There are a variety of accounts of what happened next, but what is clear is that in an attempt to place the “plaster statue” upon its new pedestal, it fell to the ground and pieces of the plaster began to chip off, allowing the golden surface underneath to be seen. Hours later, with all the plaster and clay removed, the Buddha made of solid gold was revealed, precious on all accounts. Suddenly the statue was seen of high worth, considered to be a priceless treasure. But how? It was not the Buddha that had changed, it was simply the perception of the object. The Golden Buddha now resides in Thailand and every year millions of visitors go to see this magnificent work of art and worship. Imagine…it may have never been uncovered, yet…..
Like the Buddha, we are all perfection upon conception and at birth. Life’s circumstances along with well-meaning family members, teachers, and even religious leaders unintentionally have applied layers of plaster upon us over the years in an effort to protect us from perceived dangers, and we have accepted this as our reality. Moreover, the plaster is thick and heavy and often we simply are drawn down by the weight of it and lay in ruins because at times it just seems to be too much. Awakening of our bliss moves us like the Buddha to a new foundation where we can begin to chip away at the clay. This is the Master Key Experience! At times you will need great courage to continue your journey. There may be tears, perceived losses, and even discomfort. This awakening can sometimes be painful. As one sheds the plaster, at times the gold that peaks from beneath is so bright it is frightening, even blinding, but with persistence the awe and splendor will push us forward and towards our bliss (our inward existing perfection) ~ a journey that will take us us from self-criticism to self-acceptance and love. The beauty inside you has always been there, but we need tools to chisel away the layers of muck, and this is what the Master Key Experience gives us. Sometimes the task will seem easy, at times impossible. Like a marathon runner we must train and exercise. Do the work, keep your tools sharp, and persist onward. In the beginning, the finish line may seem far off in the distance, but with persistence you will arrive. So giddy up and go get the gold that is within you! Imagine what you will disover….. This program is, by far, one of the hardest things I have ever done. And I have taken on some pretty challenging endeavors in my life. It came to me at a point in my life when I was truly ready to grow up. And not in the Western sense of having the material expressions of adulthood, house, car, career, and 401K. I am talking about the 3 components of the Law of Least Effort. I am talking about the Science of Getting Rich. I am talking about the Masterkey System. I am referring to being in conscious possession of my authentic power, expressed with wisdom, focus, enthusiasm, and oriented towards service to the greater good. I am talking about having and, more importantly, implementing the tools to live my ideal life in this world. So, it seems I’ve been worried a lot lately. To say there have been major changes in my life in the last 18 months would be an understatement. Sometimes, as you open your mind to universal thought the pathways are not always what we expected as we are thrust into the Hero’s Journey. Then I read Mark J’s blog this morning. BAM! Worry comes from living either in the past or the future. If one is truly living in the moment there is no space for worry. So often we let present slip away as we worry about the future and question our actions in the past. If we allow it, these thoughts come at us like a deafening waterfall. I recall sitting on a bench in Kauai a little over a year ago, tears streaming down my face that I was leaving that beautiful spot and that I longed to come back. Thinking to myself, “It’s so beautiful here. I want to come back here someday.” BUT I WAS ALREADY THERE! By focusing on now, savoring this moment, rumination ceases and worry melts away. The physical world we occupy is a world full of cycles and vibrations. We learn this through the study of science and observation, and through our studies of the Master Key System written by Charles Haanel our correctness of thinking is reinforced. Everything that we are today, the state of our health, our circumstances of economics, our state of matrimony is a result of our past thinking, correct or incorrect. Thus it is unequivocally a fact that our future will also be determined by the quality of our thoughts and enthusiasm of our actions. It is so crystal clear. The cement continues to chip off this golden Buddha. I have meditate, seek direction in my silence, and promise to myself I will listen and follow the path. I no longer believe in coincidence. The journey continues. Ben Franklin’s Makeover, a character building exercise- We are asked to rank a specific list of qualities or virtues as being present (or lacking) in ourselves and being aware and identifying those qualities in others. As a group, during this second week of our Makeover, we were asked to all collectively focus on kindness. 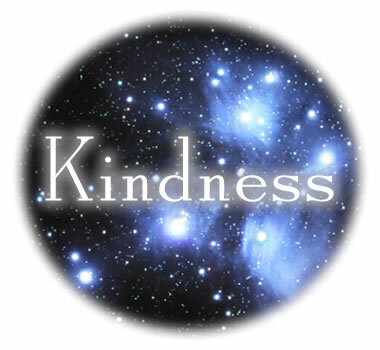 Our “assignment” – be a participant and observer of kindness. There is so much negativity expounded by the media that we often miss the miracles around us. How often do we hear about the thousands of planes that land safely every day, the adoptions that have turned out wonderful, the randoms acts of kindness that occur every day, right? Being “consciously aware” of the seeds we plant will determine our harvest (The Law of Growth). The Law of Growth does not judge or make determinations as to what is grown; it can only operate within the parameters of its intended purpose, i.e. the seed that is sown. 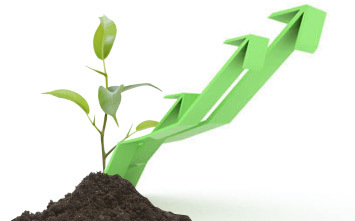 The Law of Growth is unwavering and totally predictable, scientifically factual, unfailingly perfect. We cannot expect to plant a dandelion seed and grow a rose bush. Imagine the compounding effect of our group created by concentrating our thoughts on kindness, the landslide of kindness we started on five continents, the field of richness we have imparted in the world by our simple harmonious thoughts being planted, a word of praise, a gentle touch, an unexpected smile. The mere act of noticing kindness created an inner peace in me, a feeling of harmony, a wonder at the world we live in. What a gift to be part of the MKMMA Alliance. My wish is that you discover the miracle of you, the unlimited potential of the world that is already within you.